ERP and Windows 10 – Happy Coexistence? Windows 10 comes out today. The early rumors were things like, “The START button is back,” and “It’s going to look like Windows 7.” Not. 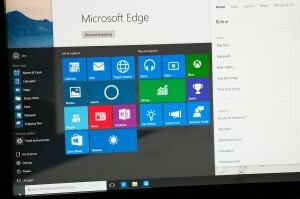 Bucharest Romania – June17 2015: Photo of Windows 10 Insider preview running on a pc screen with the new Edge browser. 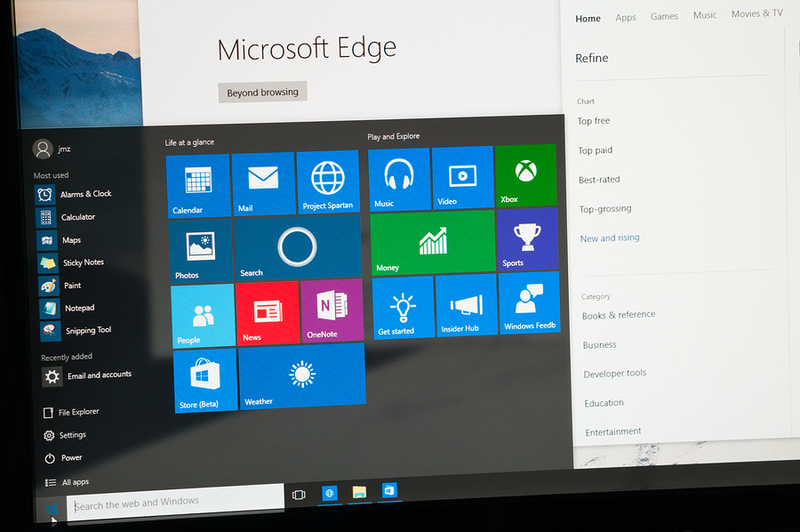 Windows 10 is the new version of Windows OS; it is set for release on July 29 2015. The big question in my world is, “Will my (fill in blank with name and version of ERP system) work with Windows 10?” The only safe way to answer this question is to get the “official” answer from your ERP provider. Software providers will (eventually) release compatibility upgrades, and you can expect to see some compatibility updates within a few weeks for supported products. The question becomes more complex when you ask it about products that the software vendor isn’t committed to supporting. Things like old versions of the software. Being an IT consultant, I once told clients, “We’ll have to try it, there’s no official statement from the vendor.” I found out through experience that the best possible case was that it didn’t work quickly. The worst possible case was when the software appeared to work until weeks or months later when we discovered that a critical feature didn’t work. I’ve never personally lost data because of this, but I know of situations when this happened. Microsoft initially announced that VB6 applications would not work on Windows 10. Some have termed this a looming crisis. It may be. Other vendors like Sage are hedging on the future of their products, with their statement about MAS 500’s lifetime. On the one hand they pledge support through 2020…on the other hand, they promise migration tools to other Sage products. Some information seems to be that VB6 is supported by Windows 10. I think the net result is that most things that run under Windows 8 and 8.1 are likely to run under Windows 10…but I wouldn’t hang my hat on it until you hear from your vendor. There are also products out there that will break on Windows 10. At any rate, if you’re still using a DOS application…I’m not sure what to say. If a car can be hacked, almost anything can be. Here’s the latest recall news. And some of you may have followed (31 million of you in particular) the Ashley Madison hack news. I keep telling people not to put stuff in cyberspace that you don’t want to be public knowledge. Don’t post pics of you at the bar, you naked, you kissing an ex-boyfriend or ex-girlfriend. More important, don’t attach it to the internet if you need to keep it secret, particularly if it has high value. If you have the secret recipe for Coke, keep it in the vault, not on your local SSD hard drive. The Ashley Madison hack is looking like an inside job. So you should also watch out who you hack off. Dude, Your Ride Has Been Hacked! 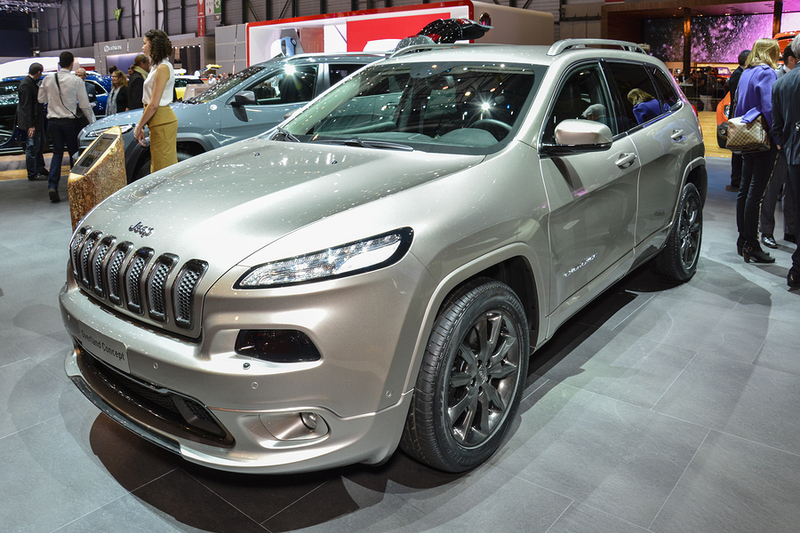 GENEVA SWITZERLAND – MARCH 4: Jeep Cherokee on display during the Geneva Motor Show Geneva Switzerland March 4 2014. So you’re driving down the highway in the middle of winter when suddenly the cold air starts blasting out of the vents at you. Then the radio starts blaring the local big band station. Then the wipers turn on. What’s going on? You’ve been hacked! Remotely. Here’s the full story from Wired. Google+ never looked like a real competitor to Facebook to me. Google’s attempt to enter the social media space was like…well…like someone trying to enter Google’s search engine space. I once wrote, “The time to be a Yahoo or a Google has gone…” The only chance Google+ had was for Facebook to slip (like Yahoo). Facebook is too engrained–for now–for a knockoff to have much of a chance. The Memphis Business Journal thinks Google+ days are numbered. What do you think? “Last updated at 1:43,” said my iPhone mail app. Swipe down. 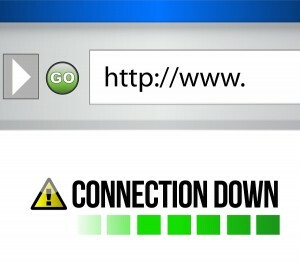 “Cannot connect to …” Swipe down. Time is 2:25. Turn iPhone off. “Last updated at 1:43.” Time is 2:42. It’s a habit. Checking email. Keeping in touch with the office. 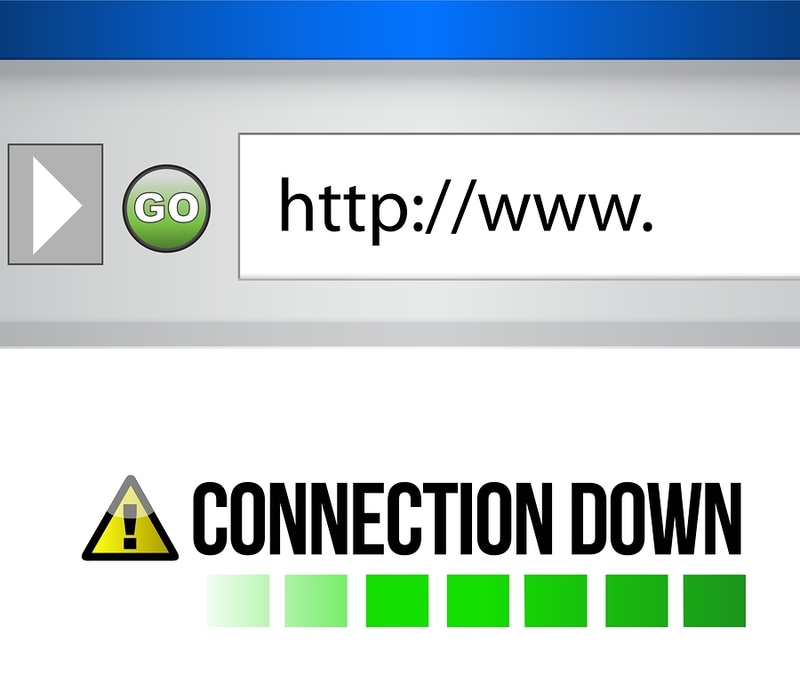 So when Comcast has problems and the internet connection goes down, it’s a problem. More and more businesses use VOIP providers that operate over the Internet. No internet means no phone. We rely so much on our technology that there are service providers (take a look at InternetSeer) that check websites and keep track of service and down times. It’s common to see no downtime at all on these reports. Yesterday’s report shows 2:42 of down time. I wonder what that costs in lost website traffic? ERP But no eCommerce? Why? Do you have products that are commodities or consumables that customers often need and could order more easily than picking them up? These are things like light bulbs, oil filters, and toner cartridges. Convenience can be a factor here. 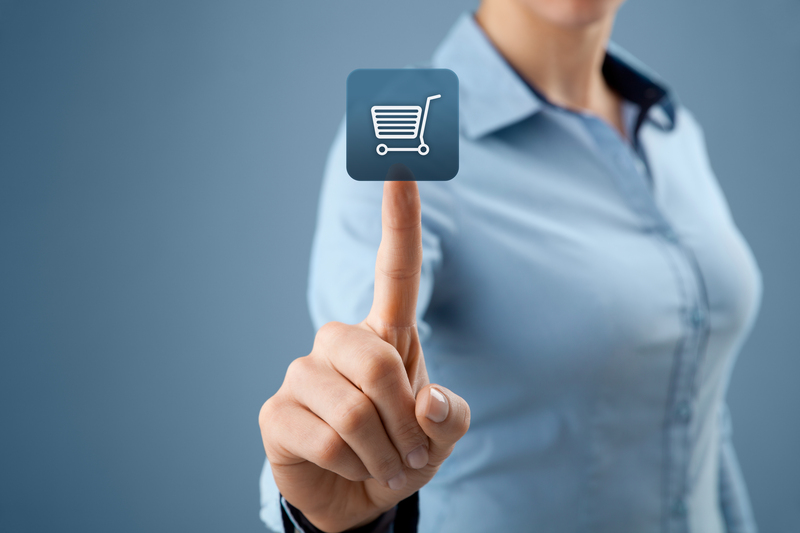 Can you tempt your customer into the store with an online presence? If your product is something like a home decorating product that consumers shop for, having pictures on the internet (even if customers need to call for details) can bring more customers through the door? Do you compete with big box retailers like Target, Wal-Mart, Lowe’s, or Home Depot? If you do, you’re probably already carrying product that is higher quality or more unique than these outlets. You can bet that the customer will got to one or more of these websites when shopping for their product. Your website gives you an opportunity to differentiate yourself from the big boys. After all, there are still consumers that respond to the “Confused? Call and we’ll help you out!” message. Is your product unique or hard to find? Current trends in web promotion tell us that consumers look for specific models of product. They pull the belt from that old Chevy and look for a “DQD-0129-18” belt. If you’ve got one, you have a good chance of showing up high in Google. Can you afford to walk away from the occasional sale you might make on the web? Years ago, most online sites were custom developed and cost tens of thousands of dollars. Today, you can be selling on eBay at almost no cost, and have an e-commerce website of your own for a few thousand dollars. Integration to your accounting software is often off-the-shelf and costs a fraction of what it did years ago. Don’t misunderstand: if you’re going to be effective and generate big dollars in sales on the web, you will have to put work into product headlines, descriptions, photography, etc. But you can test the waters easily and quickly. Contact us for more information and an evaluation of your present situation.